Teams of 15 students will investigate events ranging from concepts in life, earth and physical science to engineering devices. New events this year will encompass computer game design, alternative energy, food chemistry and the science of groundwater. Events are held throughout the SIUE campus, in the Engineering Building, Science West Building and Peck Hall, with teams based in the Morris University Center. 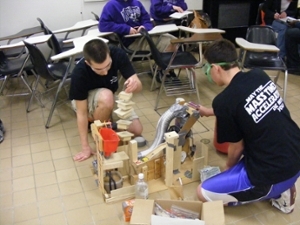 Illinois is a leading state in the Science Olympiad national program. SIUE’s event is one of nine regional competitions in the state. Leading teams from each regional tournament will advance to the State Tournament held at the University of Illinois at Urbana-Champaign on Saturday, April 16.